The Lord placed a burden on Mari’s heart for the Syrian refugees in her city. She longed to help the lost and desperate women around her. One day the answer came to her – patchwork quilting – a skill these women could learn in order to financially help their families. 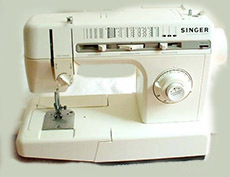 A friend of Mari donated eight sewing machines to the patchwork-quilting project. Mari rented a room and set up a workspace, but she stumbled upon a problem, who would teach her and these women to make these products? When OC worker CL heard of Mari’s challenge and saw the work that had been done, she thought of a close friend in Brazil who may help. Vanda is a young woman who is passionate about patchwork quilting and is a talented and successful business woman and teacher, having opened a store in Sao Paulo to sell her work. CL contacted Vanda, and quickly, Vanda was on a plane with her husband en-route to Mari’s city. Vanda was able to donate 10 days of her time to train Mari and six excited Syrian women in the art of patchwork quilting. Today, the collaboration between Mari and Vanda is seen and sold in local craft markets around the city. Syrian women who lost everything, fleeing the atrocities and turmoil in their home, are regaining hope and joy in this work. And God’s message of love is being displayed through these two Brazilian women. Women are hearing the Good News, who would otherwise have never heard. That’s how business as mission works! Please join us in praying for this special business as mission project. Pray for Mari and her work with Syrian refugee women. Pray for Vanda and her husband as they help and serve Brazilian workers around the world. One Challenge is an international agency committed to bringing God’s transforming love and hope to all people. We create opportunity for business initiatives to have kingdom growth impact in both normal access and limited access locations. These ministries include education, medical services, agricultural development, community development, and small business mentoring … helping local people to build a healthy community.